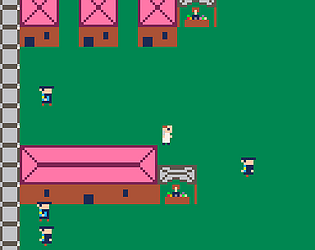 I had never used PICO-8 or Lua before this gamejam, so learning the nuances of both a new language and engine ultimately led to me not finishing the game. Collisions especially hung me up. Unfortunately the slapping mechanic didn't work because I couldn't get the scientist to collide with the guards. I don't think so. If I did, I would probably restart because my code is extra saucy spaghetti.